Now you can now use Bitcoins to buy a high-tech, $27,500 rifle that lets even an inexperienced shooter hit a target 10 football fields away. 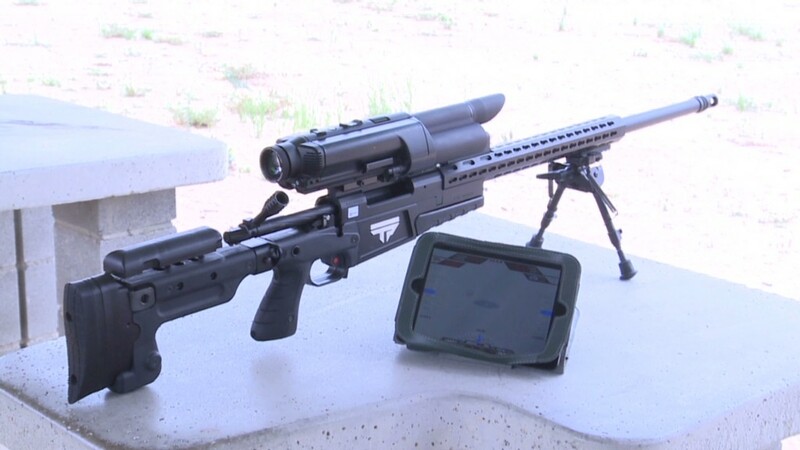 Austin, Texas-based gun maker TrackingPoint announced Thursday that it's accepting Bitcoin for its smartscope rifles, which allow novices to accurately shoot targets at 1,000 yards. Bitcoin is a digital currency that's gaining popularity for being independent of any government -- and difficult to trace to actual people. But Oren Schauble, TrackingPoint's sales and marketing director, says the company still knows who its customers are, since they have to pass FBI background checks. TrackingPoint decided to give Bitcoin a try after several customers inquired about it. "It was easy to set up, and we are genuinely interested in seeing the response," said Schauble. A local gun shop in Austin has also started accepting Bitcoins. Michael Cargill, owner of Central Texas Gun Works, said he's processed twenty Bitcoin transactions since January. Cargill echoed Schauble's point about anonymous buyers. "They still have to go into our gun store, or the gun store that we ship to, and you still have to do the background check," said Cargill. TrackingPoint and Central Texas Gun Works both handle payments through Coinvoice, a Bitcoin e-commerce processor. Coinvoice immediately converts clients' Bitcoins into dollars, which reduces the risk of being exposed to the volatile currency. Bitcoin is a relatively new currency that can rarely be used to pay suppliers. Plus, its value fluctuates wildly. In recent months, the value of one Bitcoin has ranged from $500 to $1,100. Jake Yocom-Piatt, CEO of Conformal Systems, which runs Coinvoice, said companies rely entirely on banks to process Bitcoin transactions, but that some banks refuse to process the back end of a gun purchase made with Bitcoin. He adds that the bank Coinvoice works with is the rare exception. But, Jake Yocom-Piatt adds, "If PayPal and credit card companies can process [these types of] payments, I don't see why there's any problem with us processing Bitcoin payments for them."